I’m not going to lie, I’ve had an absolutely fabulous week! Especially when it comes to beauty and being pampered. Aswell as attending this brilliant event you’re just about to read an entire post on, I had a lovely Innoluxe hair treatment. This is in prep for a hair collaboration I’m doing soon and I am SO excited to tell you more and show you all the results. There will of course be a blog post showcasing it, would you expect anything less? I’ve also spent some quality with my other half as he’s turned 22 which has been really damn lovely. 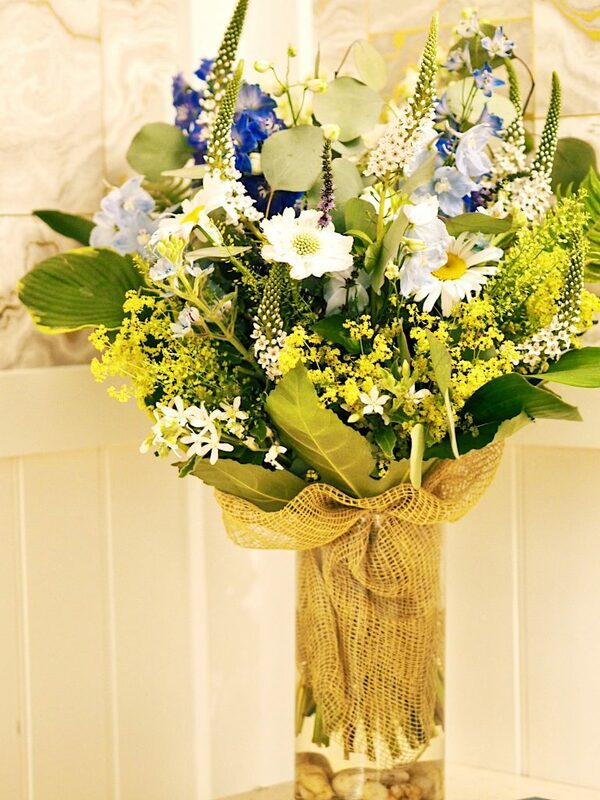 We took a trip to The Florist again too, I just cannot get enough of that place. 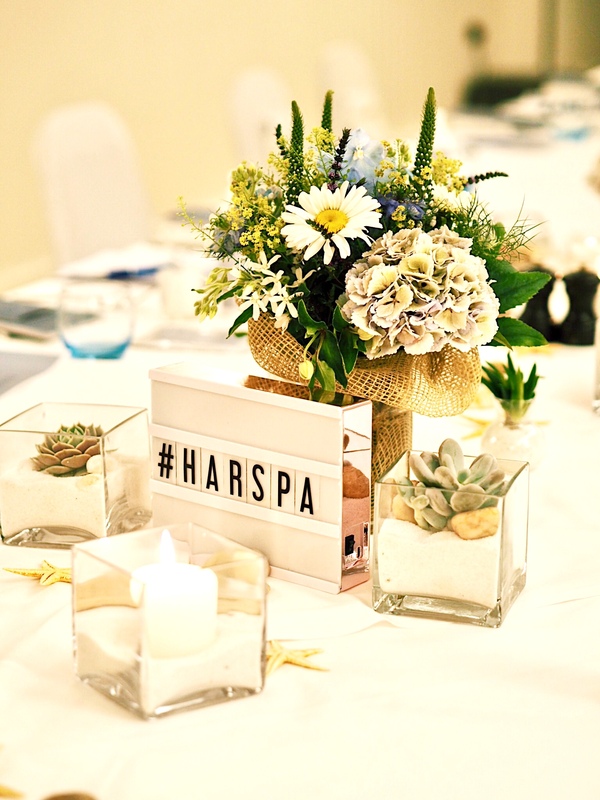 Onto the HarSpa product launch! 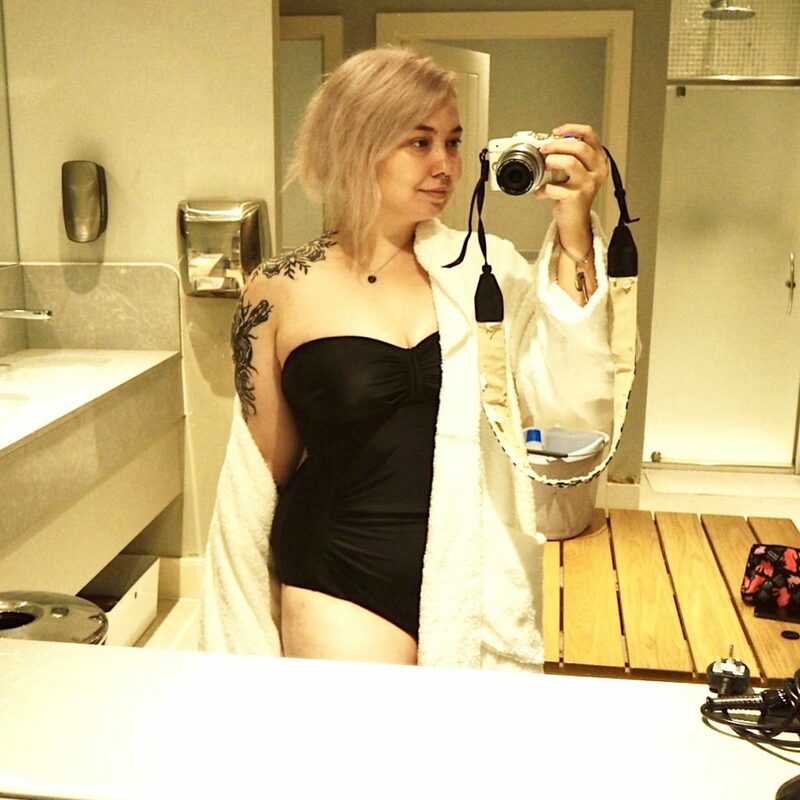 Some of you may remember I uploaded a post back in November about a spa event. 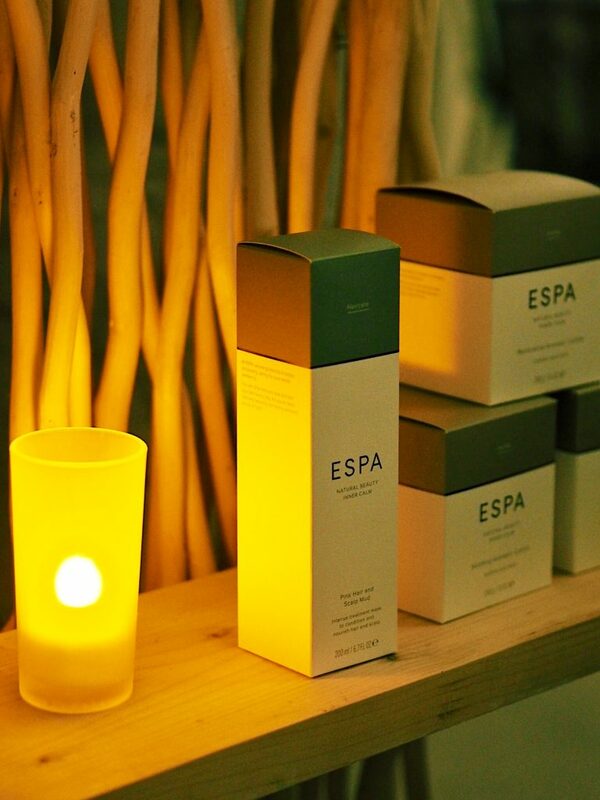 That was the launch of the actual spa and now they’ve brought out their own specially formulated line of products to enhance the experience of their facilities. The way they describe the range is ‘founded on the clarity of coastal living’. Despite having their hotel/spas in quite a few cities, it’s lovely to have some of the tranquility and calming seaside vibes inside for people to enjoy. The products contain botanicals and marine elements that are of course, naturally sourced. They’re also created with purifying the mind, body and skin as a priority. Here is a little list and quick description of the products that will be on offer from August onwards in the HarSpa range! Luckily, the majority of them are able to purchase to treat yourself at home with too. Purity Eye Patches // £6 for one set – Contains glycerin and hamamelis extract to soothe and hydrate dark circles and reduce puffiness. Marine Eye Contour Serum // £30 for 30g – Contains aloe vera, seaweed and hyaluronic acid to provide a visible lifting effect aswell as reduce puffiness. Can also be used around the lip area. Purity Cleansing Milk // £17 for 100ml – Contains witch hazel, sweet almond oil, jasmine and jojoba oil to gently remove makeup and dirt from the skin whilst hydrating and detoxifying. The ingredients also have anti-inflammatory, anti-bacterial, protecting and oil controlling properties. Radiant Cleansing Gel // £28 for 100ml – Contains vanilla and white flower, rice bran oil, peppermint and mallow to cleanse the skin and combat signs of congestion. It’s described as a honey gel and can also be used as a cuticle balm. Radiant Exfoliator // £20 for 50ml – Contains rice grain (exfoliant particles) and two types of rice bran which gently buff away dull and dead skins revealing a healthier, smoother and radiant complexion. Radiant Moisturiser // £26 for 50ml – Contains jojoba oil, rice bran oil and vitamin E to lighten and reduce the appearance of blemishes, even out tone and of course nourish the skin. Purity Facial Toner // £16 for 100ml – Contains rose water, witch hazel, green tea and infused with aloe vera to balance the skins pH levels, hydrate and tone. Rasul Mud Mask // £6 for 50g – Contains kaolin, bentonite and silica to detox, cleanse, draw out impurities and remove dead skin cells to reveal brand new looking skin. This is a multi-functional mask and can be used on the hair to promote growth. I’m also quite sure this was the one used on my back during my massage! Tea Tree Face Mask // £6 for 30g – Contains menthol, marine algae, zinc and sulphur to deeply cleanse, reduce inflammation and detox leaving behind smooth and fresh skin. Collagen Face Mask // £10 for 32g – A tissue/sheet mask that contains collagen and vitamin E to help maintain the skins hydrolipidic film which is a layer of protection that covers the skin. Charcoal Face Mask // £6 for 31g – A tissue/sheet mask that contains oleanolic acid, charcoal actives and vitamin 6 to powerfully remove impurities and toxins, reduce shine and anti-oxidise. Marine Salt and Oil Body Scrub // £20 for 250g – Contains peppermint oil, peach kernel oil and menthol to refresh and stimulate the mind aswell as smoothing out the skin. Lime and Lemongrass Body Scrub // £20 for 250g – Contains grapeseed, lemongrass essential oil and lime juice to uplift, revive and smooth tired and dull skin. Sweet Fig Bay Hand Wash // £12 for 250ml – Contains fig and vitamin E to cleanse the hands daily whilst protecting and leaving the skin super soft. Sweet Fig Bay Hand Cream // £12 for 250ml – Contains fig, sweet almond oil and jojoba oil to condition, nourish and hydrate the hands whilst protecting them from environmental pollution. 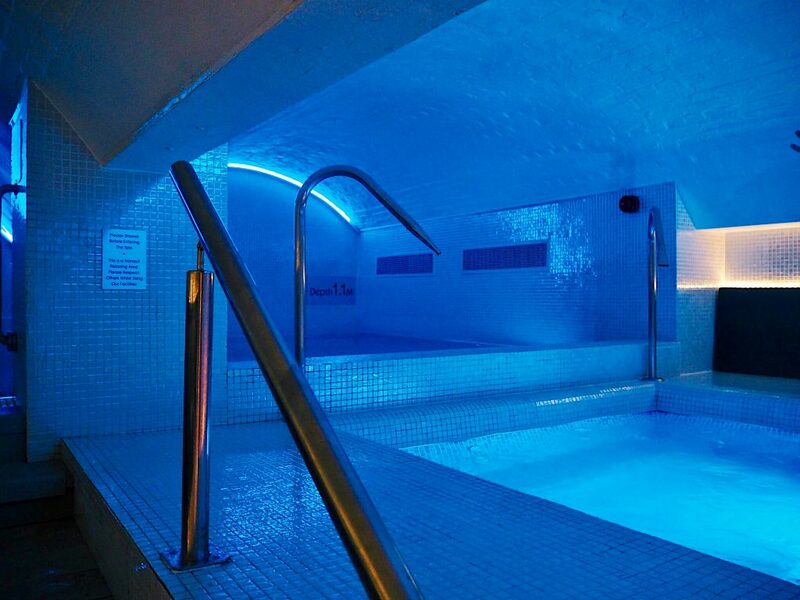 The Bristol Harbour Hotel Spa offers a sauna, steam room, jacuzzi, hydrotherapy pool, swimming pool, relaxation areas, a fitness suite and 7 treatment rooms. 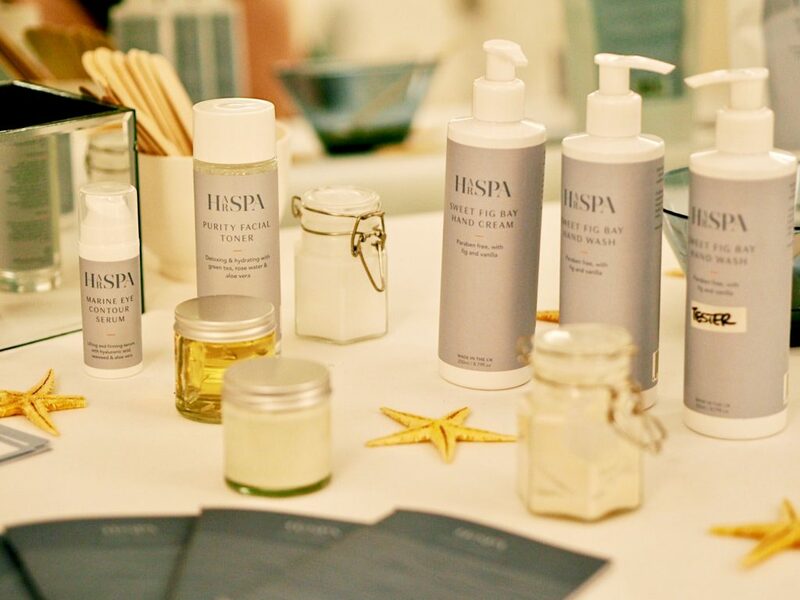 They have many different treatments on offer with both HarSpa and ESPA products with a range of prices so I personally think they’d be an incredible treat or present for a loved one (FYI a loved one can be yourself). I’d be here all day if I described all the fabulous pampering treatments they offered but here are two of the ones I think sound the most incredible! They also offer ones specifically for men too. This treatment is focused on accentuating your natural glow. Your skin will be triple cleansed aswell as deeply exfoliated. Aswell as using the “power of rice bran” to repair, restore, nourish, plump and brighten your skin. Alongside this you will receive an eye, face and scalp massage to leave you feeling pampered and relaxed. To finish off the experience, a mask tailored to your individual needs will be applied to add that finishing touch of radiance to your skin whilst you sit back and enjoy a hand and arm massage. What could be better than a pamper for the entire body? This treatment starts with the feet, offering a foot soak and exfoliation. A bespoke massage with warm HarSpa oil to suit your wants and needs comes next. Anything from knots in your shoulders to sore back muscles will be tended to by your experienced therapist and this will be the majority of the treatment. As a concluding element, a facial cleanse and massage will end the experience. As we were incredibly spoilt and lucky ladies, we were offered a choice of 4 different treatments on the day. 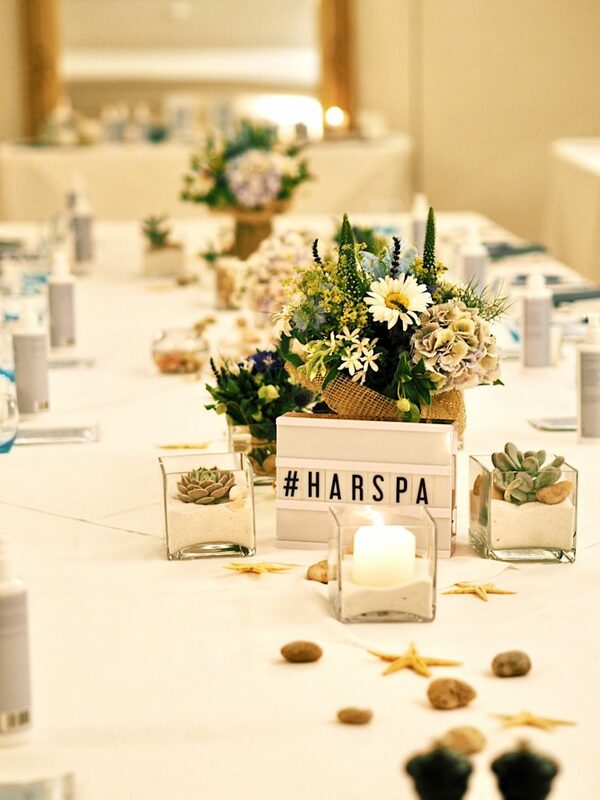 I was very tempted to go for the facial but we got to sit and experience quite a lot of the facial products in our little HarSpa introduction. Because of this I decided to go for the ‘Invigorating Back Pamper’ and boy am I glad I did. The treatment rooms are down in the vaults alongside the spa and the nature of them is of course very beige and relaxed. Although, there are big, old rustic vault doors left untouched giving them a really authentic and cool vibe. The experience began with a short skin consultation and discussing any problem areas or specific needs you may have. I chose the lime and lemongrass sea salt oil scrub and then the calming massage oil for my treatment. The scrub was the first thing applied to my back and the scent was gorgeously uplifting and zesty. Because the sea salt particles were relatively large, it gave such a nice sensation when being massaged into the back. After a few minutes of scrubbing, it was removed with a warm cloth and time for the main part of the massage. Then came around half an hour of pure bliss! There were all sorts of varying speeds and pressures over all areas of my back, neck and shoulders. Working out the knots and making me feel far more relaxed and my muscles loose for the first time in forever. Finishing off this area of the massage with a short scalp massage was just the icing on the cake! The oil was then removed with a hot cloth before leaving it on my back for a while to open my pores before applying a mud mask. This was left on for 5-10 minutes while she massaged my hands and arms. The mask was then of course removed and my massage very sadly came to an end. I was a little late to the lunch as I was getting showered after my treatment so I didn’t manage to get many pretty pictures. 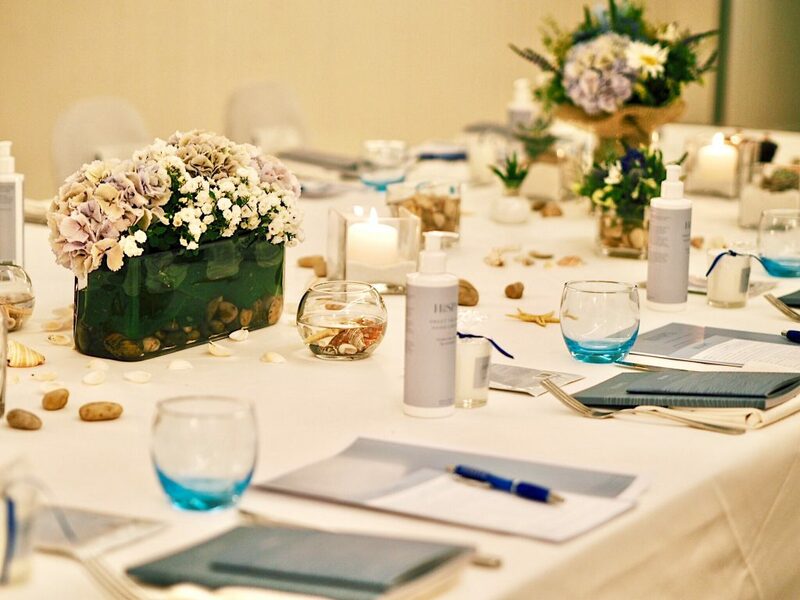 They laid on a fabulous spread of super healthy and delicious dishes which paired perfectly with the relaxing and zen vibe of the spa and products. 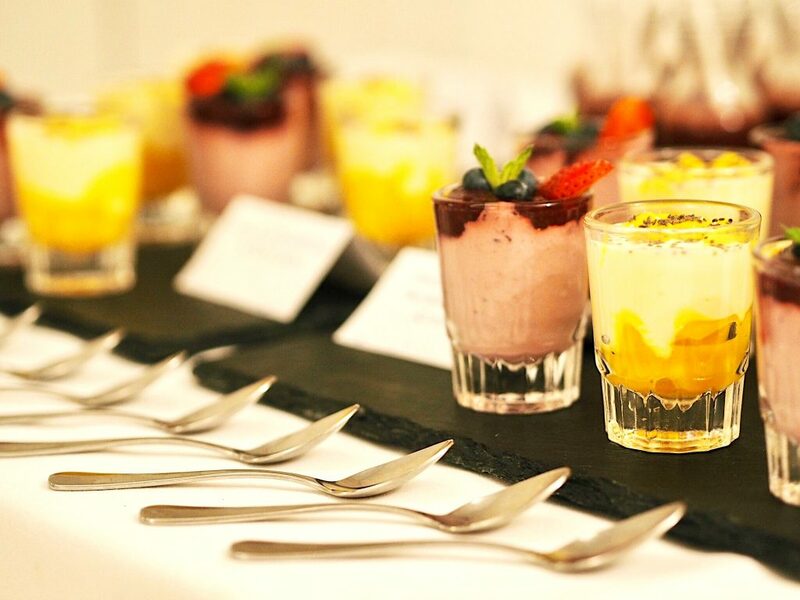 A few of my personal favourites were the avocado, roasted tomato and rocket on sourdough, cauliflower cous cous and mixed fruit yoghurt with blueberry and berry compote. It was quite honestly one of the most flavourful lunches I’ve ever had! I will definitely be taking inspiration to create my own versions of it at home. An absolute huge thank you to The Bristol Harbour Hotel for putting on such a fabulous event and the super generous goodie bags. I can honestly say I enjoyed every second of it and I’m honoured to have been a part of it. I’ll definitely be back soon for a radiant facial or maybe even a lava shell massage (how intriguing). What’s your favourite treatment to have at a spa? "From Daytime To Date Night With Adexe London!" I definitely need to take some time for some lovely treatments and love the sound of the two you picked out! I’ve neverrr once been to a spa and i think i need too! Glad you had a lovely time! Ever since I first went to a SPA center I just can’t wait to get back there. The relaxation and feeling of total luxary is just so overwhelming there! I love it and I hope you loved your stay as well. All the items you mentioned here have such a great ingredients list! I’m surprised at how well priced the products are to buy! usually spa products are soooo expensive! It sounds like you had an amazing time! I could do with a scrub and a massage myself! Wow! Looks like a beautiful event. That cleansing oil sounds lovely too!